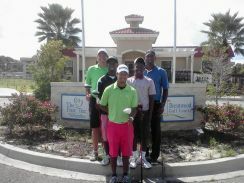 JTOG Day 16: Playing Panther Trail at The Woodlands Resort! The entrance to The Woodlands Resort & Conference Center. 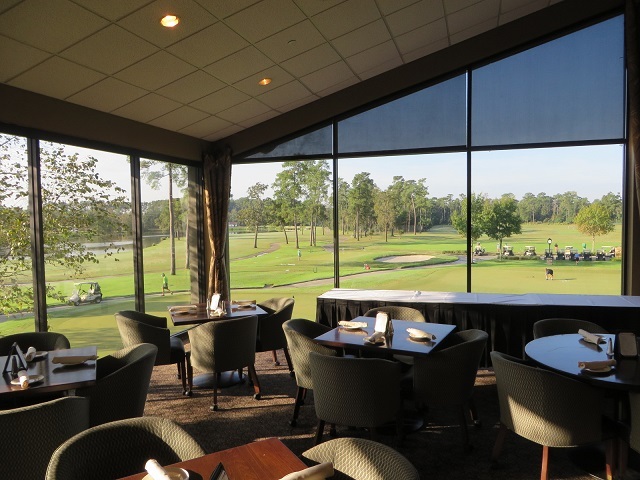 My last respite before heading south of the border was a welcomed three-night stay at The Woodlands Resort & Conference Center about 28 miles north of Houston. 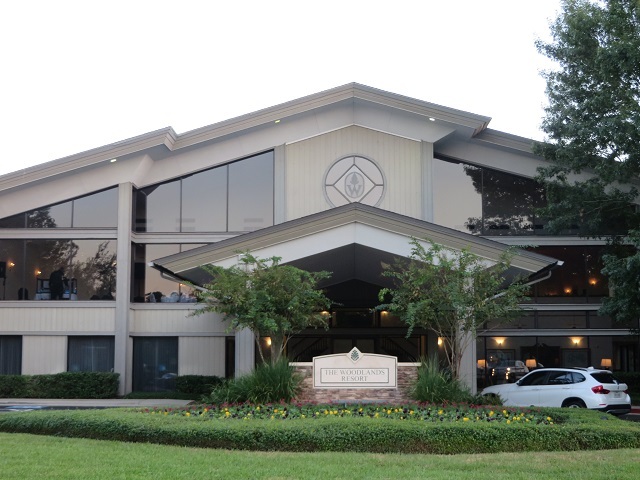 A master-planned community by oil industry investor George P. Mitchell in the mid 70s I first became aware of it at that time in relation to the Shell Houston Open at the Woodlands CC from 1975 to 1984 and then at the TPC at The Woodlands through 2004. This time I was aware of The Woodlands as the place where the Opening Ceremony of The Spirit International were taking place on Sunday night. I arrived late Friday evening after the day in College Station with Mike Bailey with golf planned on Saturday. After the Spirit festivities I would be driving down to Laredo on Monday and cross the border into Mexico early Tuesday morning. Where I was headed after that who knows but I knew my final destination was the Olympic Golf Course under construction in Rio. 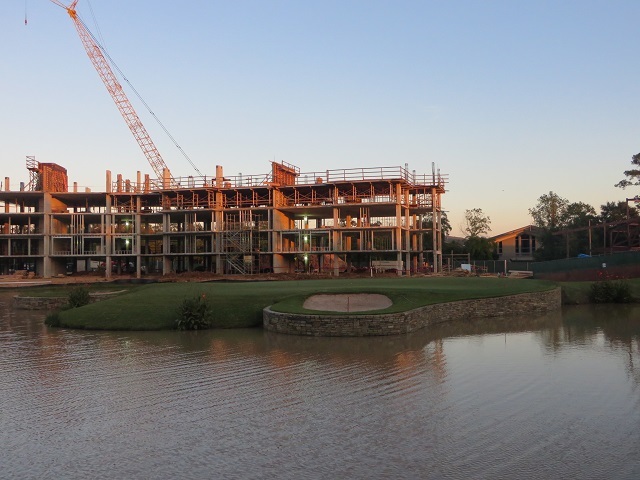 Now completed, a new wing of the resort ,overlooking the dramatic 18th green, was under construction when i visited in October 2013. The transformation of The Woodlands Resort & Conference Center from a modest 218-room property in 1974 to today’s resort with 406 deluxe rooms and suites, 4 onsite restaurants, 33 meeting rooms totally 60,000 square feet, and 36 holes of championship golf was still ongoing during my visit. 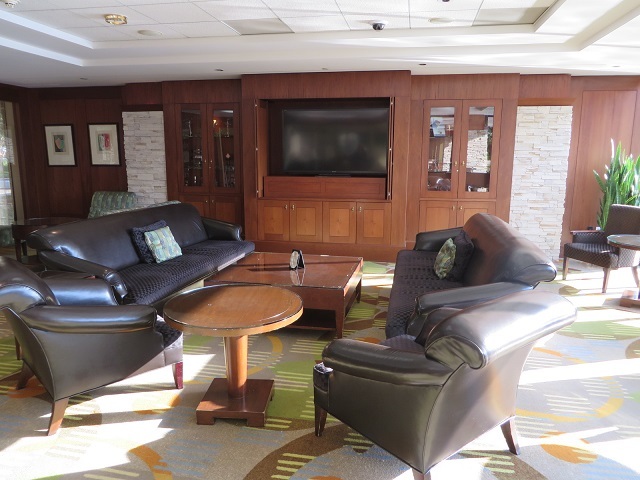 The Forest Oasis Waterscape, with lagoon-style pools and a lazy river was completed last summer as planned making the property the region’s premier meeting and vacation destination. Plus nearby there is shopping, for the non-golfers with complimentary individual transfers offered to Market Street and The Woodlands Mall. 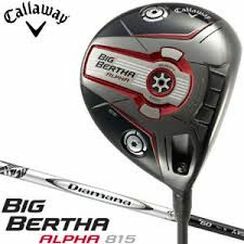 But for me it is all about the golf and the golf is very good at the The Woodlands Resort & Conference Center with me being forced to make the difficult choice of choosing which championship golf course to play—Panther Trail or The Oaks? 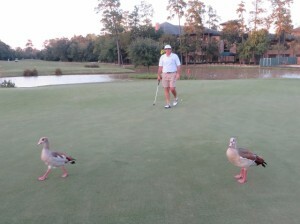 Of course, you will be smarter than me and extend your stay to have time to play both courses! 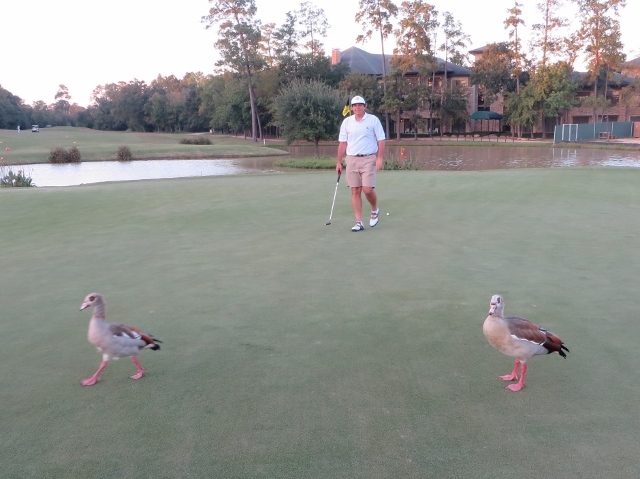 Only ducks to greet me, not a birdie on the 18th green! I choose Panther Trail which was originally designed by Joe Lee & Robert von Hagge and completely renovated in 2002 by Roy Case. I liked the gently rolling fairways and undulating greens with outlined by tall Carolina pines on every hole. The finishing hole is a tough par-4 with an island green. I was ecstatic to par that hole nearly missing a 15-foot birdie putt after a near perfect hybrid-4 approach shot. I birdied two holes back to back (the 9th & 10th) to end my birdie drought in Texas! 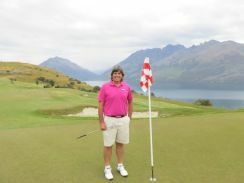 Here is a video of me happily missing that birdie putt on the 18th green! With Leeann Sullinger, the Marketing Manager. This is where I would want to have a corporate meeting for sure! 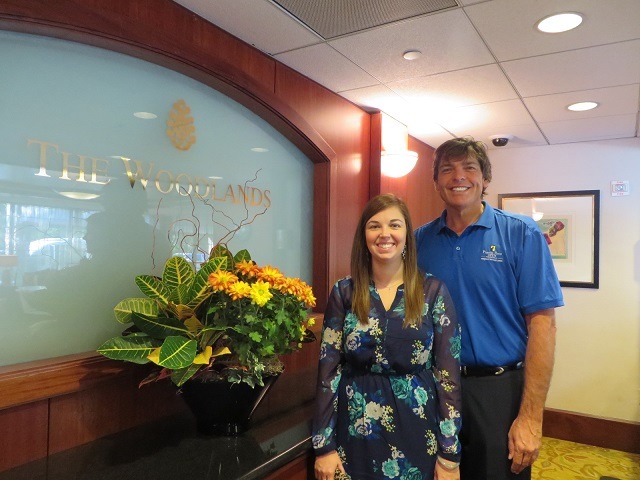 From the welcoming chips and beer in my room, to a fabulous tour of the resort by Marketing Manager Leeann Sullinger, through the fairways of the Panther Trail Course, my time at The Woodlands Resort & Conference Center was full of relaxation, fun and adventure. An Olympic-like golf competition for collegiate male and female golfers… Charlie Epps was right, The Spirit International was not to be missed for a lot of reasons! I am looking for 100 new friends in the next 100 days to make a $100 donation (or any amount that you are able to make) to The First Tee. Each day I will be reliving the original “Journey to Olympic Golf” and hope to find a new friend in golf. Is that you? Please join me in giving back to the game we all love. CLICK here to make a donation to The First Tee. 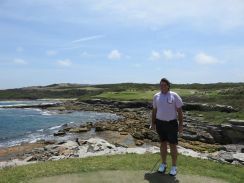 Please select ‘Andy Reistetter’s Journey to Olympic Golf’ on the drop-down menu for the question ‘What inspired you to make a gift today? This is for tracking purposes only, Andy does not receive any part of your donation or anything financially from The First Tee organization. PLEASE click here to make a donation to The First Tee. 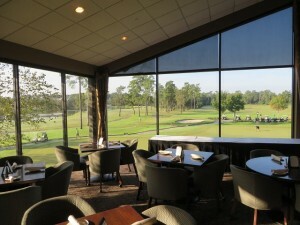 View of the golf course from the Cannongate Restaurant. Resort lounge area, well appointed and comfortable, Texas-style! 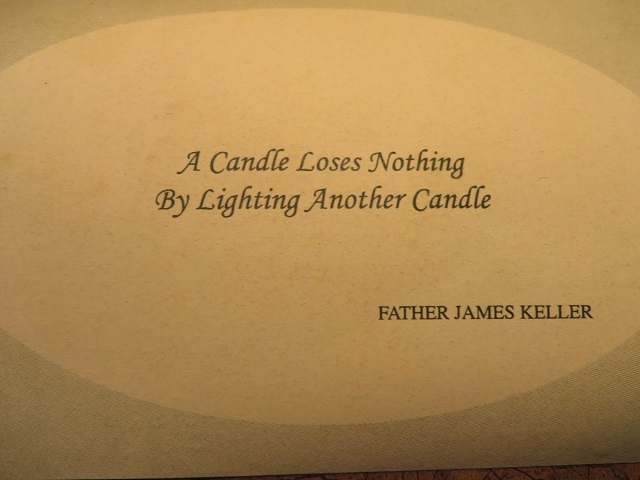 Everything seemed to be tasteful, exceptional and well-timed, even this inspiration note left for me to find in my room.